Bizness Apps CEO Andrew Gazdecki checked in to tell us that they’ve joined the admittedly very crowded market of DIY iPhone app development platforms, but says they can do it from start to finish for just $39 a month, obviously a highly competitive price. The fledgling company has just scored an undisclosed round of seed funding from two angel investors, namely Build.com CEO Chris Friedland (see his reasons for investing here) and founder and CEO of Collegescheduler.com Robert Strazzarino. I’m not entirely convinced every small or medium-sized business should have its own iPhone application, but hey, your mileage may vary. At a rate of $39 a month, it sure becomes affordable for a lot of companies that wouldn’t otherwise spend money on native iOS applications. Obviously, the applications that one can build with Bizness Apps won’t exactly become the most sophisticated ones available, but it’s not that they come completely void of useful features, either. The company doesn’t charge a setup fee, and gives business owners control over the creation, editing and management of their very own iPhone app. 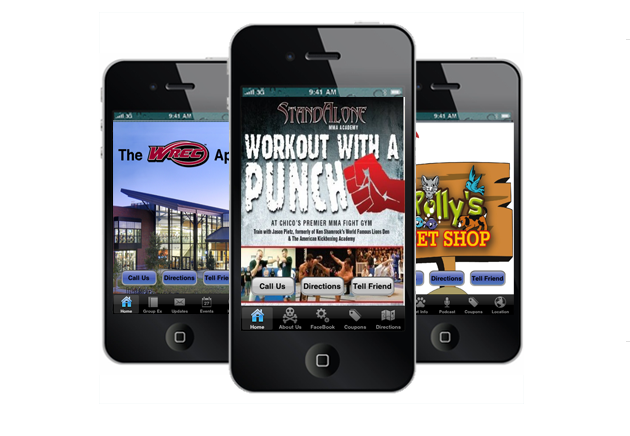 Every iPhone app is custom-made for businesses, submitted to the App Store and regularly updated with new features and improvements by the Bizness Apps team. Available features include turn-by-turn GPS directions, sharing capabilities that play nice with Facebook, Twitter and email clients, in-app messaging and push notifications, check-in and couponing capabilities, calendering options and more. The company makes money from monthly support and maintenance fees, but also offer custom iPhone app development and design services.